Are you enraged because your partner seems to hear what you say but doesn’t respond? 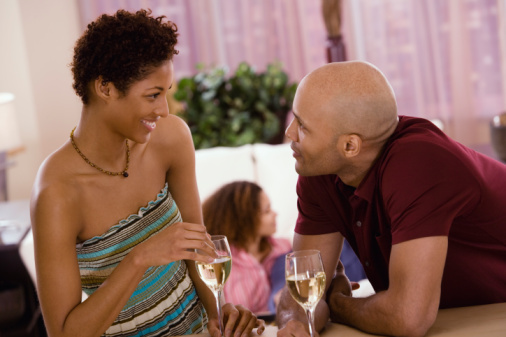 Do you want to engage your partner in a serious conversation but find that your words go in one ear and out the other? Then you are obviously not having an impact. There are serious couples communication issues in your relationship. Maybe there is a reason why matters that are important to you, don’t hit your partner in the same spot. The way in which you deliver your message is the ultimate arbiter of whether it gets through and is absorbed in a way that affects your partner is the right place. Did you pick the right comment? The second one is going to have a greater impact. Why? Because it’s DIRECT. You are the one who is unhappy with your partner- not the teacher! When you use someone else to speak for you or vice versa that is an INDIRECT communication. It means you are too scared to own your feelings. So if you don’t take your feelings seriously, your partner isn’t going to either. Lets take our couple Rachel and Byron again, and look at what happens when Rachel approaches Byron with her exasperation over his coming to dinner late because he prefers tinkering with his old corvette. Having shouted several times from the kitchen that dinner was ready, and getting her kids to do the same, she walks over to the garage where he is working. What did Byron do with this information? He grunted and went on with what he was doing. He wasn’t going to be shamed or coerced. When he was ready he’d wash up and join the dinner. “You and the kids start, I’ll be there soon,” he said trying to speak in a neutral tone. The couples communication issue is right there: starting with a remark meant to guilt Byron into doing his paternal duty, and is met with a rebuff. Rachel’s anger went through the roof. She slamed food on the table, and chided the kids for not eating properly. When Byron eventually came to the table, the kids smiled hoping he will lighten the atmosphere. He quickly started up a fun conversation with them, leaving Rachel out. She saw that the kids were happy and her use of the information in the article to guilt Byron dismissed in a flash. Why did Byron ignore her? He heard exactly what she said, but did things his way, proving into the bargain that far from harming or depriving his kids by his lateness, they were enjoying him much more than they enjoyed being with Rachel! Rachel went to bed annoyed and sad that her efforts to get Byron to care about and observe family ‘together’ times backfired. But she continued to address Byron indirectly using someone else as her mouthpiece. Imagine how that went down with him! He told her to not to interfere in his relationship with his father. The communication was shut down. Why? Because once again Rachel used a third party to speak for her and it didn’t work. Rachel was too scared to own her own feelings of anger at Byron for not doing what she thought was appropriate in a relationship. She was frightened to speak from the place of wanting something from a loved one. It hadn’t worked for her as a kid when she wanted her dad to be like other dads. So she circumvented the route and spoke using someone else as her mouthpiece, assuming that the authority of that other source would do the trick. But it didn’t work then, and it wasn’t working now. Rachel let herself down when she didn’t communicate directly about her own feelings. She made herself unimportant, and Byron followed suit. Using someone else as a mouthpiece removed the authority from her voice, so Byron didn’t pay any attention. By removing herself from the picture, she made sure that he had nothing to react to, and so there was no point letting her words impact him. In my therapy office I noticed that Rachel usually worked hard to get across her deeply felt emotions, but ended up crying when Byron just looked away and kept silent. When she was feeling lost and hopeless, I showed her how she left herself out of the equation, and what an isolating experience it was. Rachel was shocked to hear that her delivery was the culprit, when she thought Byron was the one at fault. Next I worked with her on becoming aware of her feelings. This was hard because she didn’t want to feel her rage. Nor did she want to claim her wish to make Byron into the kind of caring partner she needed. With continuous support she felt safe enough to let her anger rise up, and realized her fear that it could destroy their already fragile connection. As Rachel became more aware of her feelings, I taught her how to name them, using a variety of words and phrases to cover her various experiences of anger and fear. Then I invited her to share her feelings about getting Nathan to school on time – remembering to start with acknowledging Byron taking on the job, and then sharing her anger that he didn’t execute it in the way she wanted. Here is what we came up with in the way of addressing him, that covers the skills learned in the previous two couples communication issues articles and videos. This time Byron looked at Rachel the whole time. He was rivited by knowing about her feelings and the impact his behaviour had on her. Once Rachel owned and expressed her feelings, it hit the right spot in Byron and he responded. He was able to feel her pain about Nathan missing out and her dependence on him to take this seriously. Remember that she approached in a way that ensured his walls didn’t go up, so he was open. Now that she used her own voice they were on an equal footing, each with their own valid interpretations. They expanded and clarified their intentions, their joint wishes for their son, and what being late to school meant for them all. Rachel became a person with feelings and needs, not just someone elses voice that annoyed him. He felt good about being taken inside her fortress and shown her true feelings. She felt more assured and confident that her feelings were not just important but vital to ensure a penetrating communication that altered his responses. It was hard for Rachel to accept that she could have this much influence over him. I had to show her each time it was evident – until she had sufficient evidence that her ownership and expression of feelings was the key to communicating effectively, after making an inviting approach and using words rather than actions in her style.